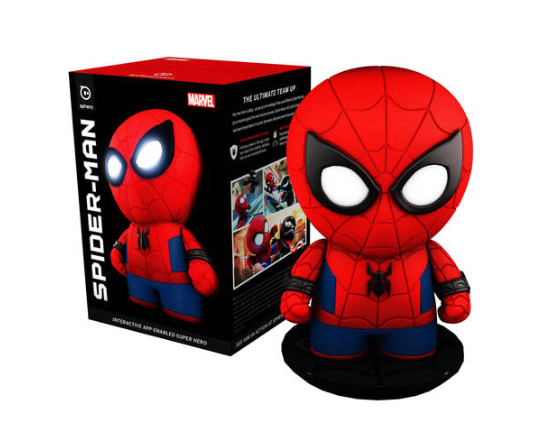 If your kids love Spider-Man like my kids do or even if you love Spider-Man this is the perfect toy. You have to install an app on your phone to go with him and pick out your hero name and ability and then you can hang out/ fight villains/ tell jokes and go on adventures. There's so many different things to do. He even guards your room and is a personal alarm clock. We love him.